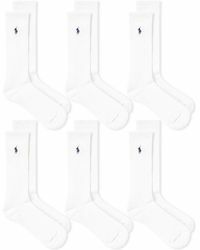 With its all-American preppy feel and classic Ivy Leave style, the Polo Ralph Lauren brand has a very clearly defined aesthetic that has made it incredibly popular over the years. 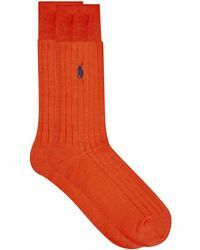 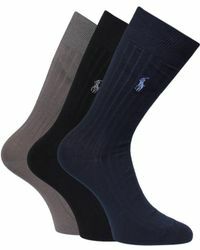 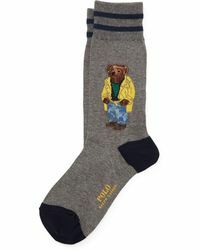 Part of the broader Ralph Lauren collection of labels, which includes ranges of men's and womenswear, as well as fragrances and accessories, the Polo line includes the iconic Ralph Lauren polo shirt, which is continuously reinvented, a symbol of the relaxed, contemporary style of this sporty line from a fashion heavy weight. 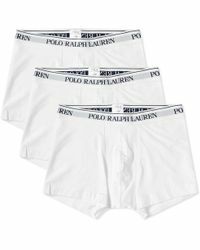 Shop the range of underwear from Polo Ralph Lauren for tailored boxers adorned with the Ralph Lauren polo logo, knit boxer briefs and a range of different socks, from ribbed dress socks through to the tartan variety.